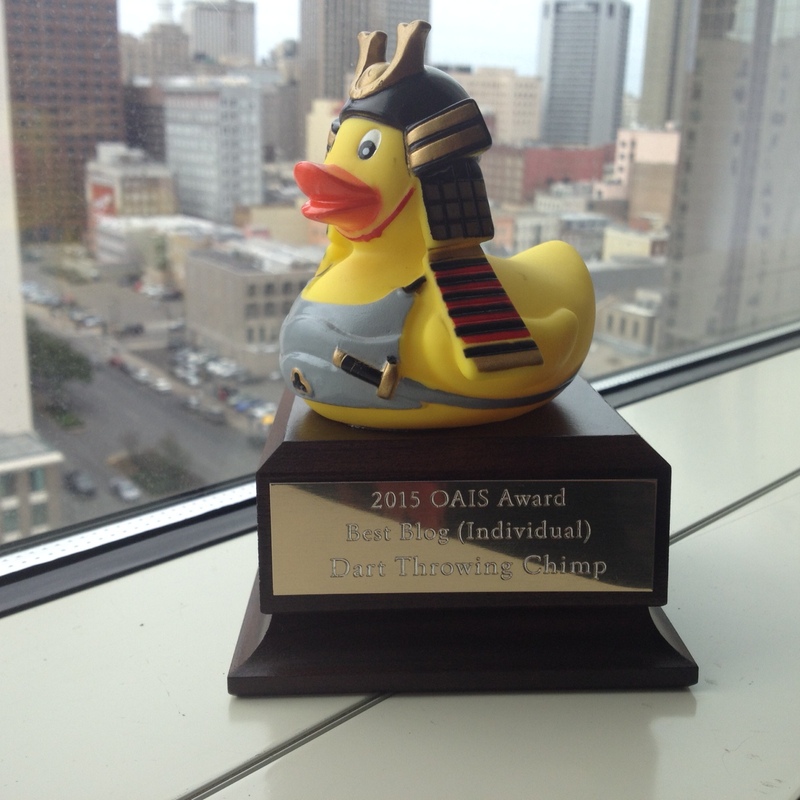 For the second year in a row, Dart-Throwing Chimp won Best Blog (Individual) at the Online Achievement in International Studies awards, a.k.a. the Duckies (see below). Thank you for continuing to read and, apparently, for voting. Before the awards, Eva Brittin-Snell, a student of IR at University of Sussex, interviewed a few of last year’s winners, including me, about blogging on international affairs. You can read her post on the SAGE Connection blog, here. congrats! well deserved yet again.